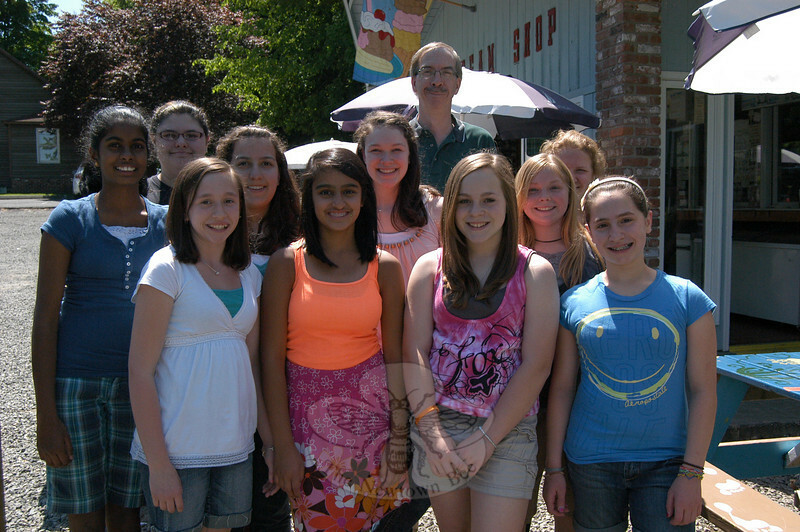 Newtown Middle School Interact Club members and club advisor Bruce Moulthrop gathered together at The Ice Cream Shop on Church Hill Road after school on Thursday, May 20. The event was a celebration of a year of fundraising and donating to charities. The last two NMS Interact Club fundraising programs were a wristband sale to support the Haitian Health Foundation http://www.haitianhealthfoundation.org), and the Share our Strength initiative to feed hungry students in the United States. The fundraisers, according to Mr Moulthrop, raised $300 each.